Luis Suárez guided Barça to victory against Leganés with his brace of goals and Marc-André Ter Stegen did so with his saves. 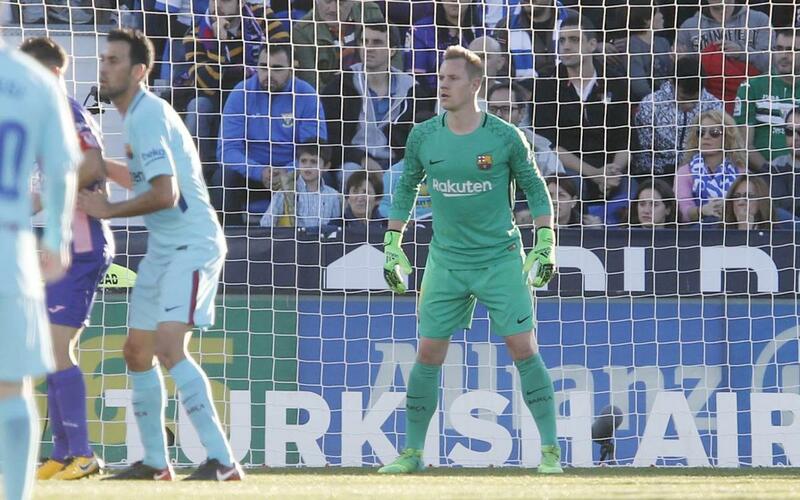 The FC Barcelona goalkeeper was crucial once again and he produced some top-draw saves at Butarque. Garitano’s side couldn’t found a way past him with the blaugrana thwarting Szymanowski, Beauvue and Amrabat. The first two had clear cut chances to draw their side level either side of the break. While Amrabat’s chance could have got his team back into the game at 2-1. The German keeper has conceded just 15 goals in 30 matches in La Liga, the second best record behind Atlético keeper Oblak who has conceded just 14.